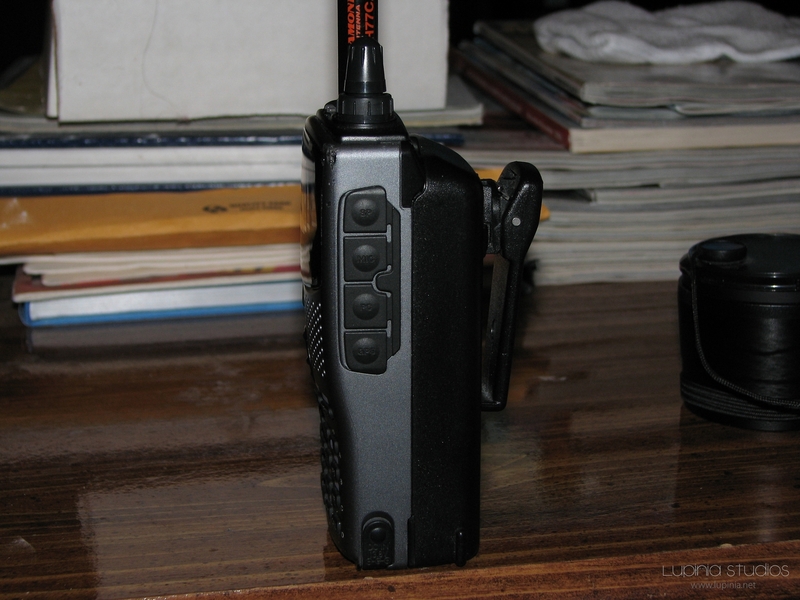 Kenwood TH-D7ag, purchased in September 2007. From top to bottom: Speaker, Mic, PC (Serial), GPS (Serial). The speaker and mic are positioned to fit standard Kenwood dual-prong headsets/external speakermics.